Last week I gave a brief introduction to the colonies. Today I want to go though a brief history of England during the colonial period so we all know where they are coming from. British interest in colonization really began to take hold during the reign of Queen Elizabeth I. Elizabeth’s father, Henry VIII had forced England to convert to Protestantism. This move separated England from mostly Catholic Europe. 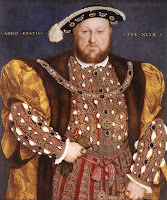 Henry had broken with Church order to divorce and remarry. He wanted to sire a male heir and provide for a stable transition to the next generation. Leaving the Catholic Church, however, created massive instability for England for the next two centuries. Many members of the royal family, including several who were in line to inherit the Crown, remained Catholic, leading to power struggles. Elizabeth even had her own half sister, the Catholic Mary Queen of Scots killed as part of those struggles. The English Protestant reformation which Henry began also led to religious radicals pushing the government even further. They argued that the Anglican Church remained “too Catholic” in its doctrine and practices. They fought for a purer form of Protestantism like Luther and Calvin were promoting on the continent. These Puritans would eventually start the English Civil War and would also be a large part of the colonization movement. During the reign of Elizabeth, many British grew wealthy by raiding Spanish treasure galleons. Piracy was probably Britain's largest cash industry, although when the Queen supported it, they called it privateering. Private adventurers would receive letters of Marque from the Queen, authorizing them to raid and plunder ships belonging to whatever country England was fighting at the time. Seeing the literally tons of gold, silver, and other valuables that Spain brought back from its American colonies, many British adventurers thought it might not be a bad idea to get their own piece of the action. Spain had done its best to explore, conquer, and colonize as much of the Americas as quickly as it could. But after a century, there were still many hundreds of miles of coast that had only seen an occasional explorer, with no real settlements. Deciding that possession of the land through occupied colonies was a path to riches and power, Britain got into the colony game. Armed with a powerful navy, British colonists spread all over the world. North America was only one destination. Others were the Caribbean, India, Africa, and the far east. Hopes of finding large piles of gold and silver in America did not really work out. Instead, the colonists focused on cash crops. Setting up colonies was not easy. These were wilderness areas. Colonists had to cut down forests, clear fields, build towns, all in addition to trying to grow their own food, let alone cash crops for investors at home. It could be difficult to convince people to pull up stakes, make an expensive and dangerous sea crossing, only to land in a wilderness where starvation, disease, and indian attack were common ends. England had to populate America to make colonial claims stick against other European claims. In addition to offering the promise of cheap land and potential wealth, England found that promises of religious freedom was a good lure for many. Essentially, Britain’s long term strategy was to tell lots of people to go settle in North America and be British. In return for this nominal loyalty, the government mostly left them alone, levied no taxes, and did not enforce much of any restrictions. The British provided military and diplomatic support for colonists. The benefit to Britain was the hugely profitable trade in raw materials from its colonies. The fact is, the 1600’s and early 1700’s were turbulent times for Britain. It had neither the time nor inclination to get involved in colonial affairs. The domestic situation took up far too much of its time and attention. 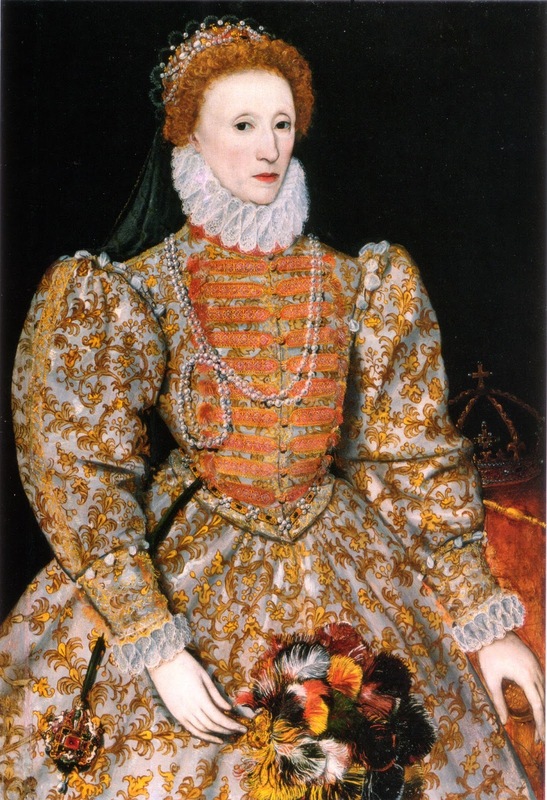 When Queen Elizabeth I died in 1603 she left no heirs (a major downside of being “the Virgin Queen”). The next in line was the son of her deceased cousin, Mary Queen of Scots. James was already King James VI of Scotland, not yet united with England. He was also a Protestant, unlike his mother. When he became King James I of England, he would rule over both England and Scotland as separate countries. Although a Protestant, James was a little too tolerant of Catholics. This enraged Puritan elements within the nobility. James never got along with the Puritans. James also focused on establishing better relations with Catholic Spain. This did not win him any points with the Puritans either. Like many monarchs James approved of colonization, but did not give it much attention. He allowed private companies to set up colonies with his approval. But private investors took all the risks and management headaches. He approved the Virginia Company’s settlement of British colonies in Bermuda and Virginia (Jamestown being named in his honor). Although he paid it little attention, the Plymouth Colony in modern day Massachusetts also commenced towards the end of his reign. Following James’ death in 1625, his son King Charles I ascended to the throne. From the very beginning, things did not go well. For starters, Charles married the 15 year old daughter of the French King. The fact that the 25 year old Charles was marrying a 15 year old girl was no scandal. The fact that she was a Catholic was very much so. The King was trying to develop better relations with Catholic France. This did not sit well with English puritans. That the King also appointed Catholics to important positions within his administration only worsened things. Parliament refused to grant the new King any money. By tradition, Parliament would set an annual allowance for a new King, through which he would run the government. Parliament refused to do so until the King addressed their grievances. Charles tried to summon new Parliaments several times but could not get an agreeable Parliament to meet. In the end, he ruled for 11 years without a Parliament. This was tricky since the government could not raise money without Parliament. Instead, the King had to resort to legal loopholes to raise money. For example, existing law permitted the King to demand ships from his nobles in time of emergency. If the noble did not have a ship capable of use in naval service, he could provide money in lieu of a ship. Since the King could define whatever he liked as an emergency without challenge, King Charles simply declared an emergency for no reason and demanded “ship money” from his nobles. Some Puritans grew so frustrated with Charles’ rule, that they left the country and formed the Massachusetts Bay Colony. Charles was happy to be rid of them and granted them a Royal Charter to go live with the troublesome Pilgrims across the Atlantic. Charles also granted a Royal Charter to George Calvert, Lord Baltimore, an influential member of government who inconveniently declared himself a Catholic and was forced to resign from most of his government positions. He eventually thought it best to leave England and received a charter to settle the Colony of Maryland (named after Charles’ Catholic wife, Queen Henrietta Maria). During this same period, other countries took advantage of the British neglect. The Swedes set up a colony in what is today Delaware, and the Dutch established a colony in what is now New York. Charles did not have time to focus on colonies. He had to give his attention to fighting with Parliament. Eventually those political battles gave way to real military battles in the English Civil War. Charles eventually lost his head, literally, to Parliamentary forces and England no longer had a King. Following the Civil War, Oliver Cromwell, a former member of Parliament and leader of the Parliamentary army that overthrew King Charles, became “Lord Protector of the Realm.” He was essentially King in all but name for about a decade, from 1649-1658. He spent most of this time blocking royalist challenges and subduing Ireland. Cromwell mostly ignored North America. A large number of royalists, however, decided to head for Virginia during the reign of Cromwell, mostly to avoid punishment for opposing him in the Civil War. 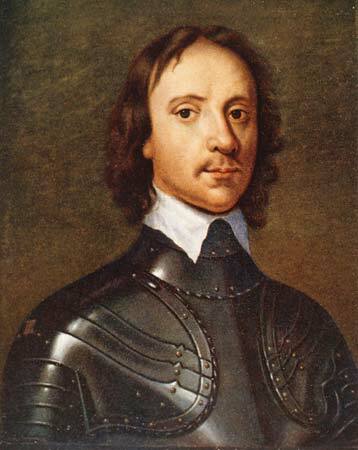 Cromwell’s death in 1658 saw his son take control. Richard Cromwell never achieved a satisfactory power sharing arrangement between the army and Parliament. Within a year, King Charles II, son of Charles I, overthrew Cromwell and restored the monarchy. Before getting into the restoration monarchy, I want to talk about parties. The English Civil War gave birth to the two political parties that would dominate English politics for centuries. The Tory party was the political party of the Cavaliers, the Royalists who supported King Charles I during the Civil War and the restoration of Charles II. The Whig party was the political child of the Roundheads, the Puritans who supported Cromwell and Parliament against the King. The Roundheads got their name from the fact that they wore short and close cropped hair, making their heads look round when compared to the long flowing manes of the royalist cavaliers. One might be tempted to think that starting to wear whigs over that short hair gave rise to the name of the Whig Party, but that is not the case. The term Whig was originally a pejorative term derived from the Scottish “whiggamore” one who wrangled horses, what we would call a cowboy. By the time of the English Civil War, the term Whig essentially meant a country bumpkin, not too bright or street smart. Members of this new party eventually decided to “own” the pejorative and take it as their name. The other party’s name “Tory” was also a pejorative originally referring to Irish outlaws, often Catholics who had been forced off their land and into a life of crime. It began to be used in politics as a reference to supporters of the pro-Catholic King James and several of his Catholic descendents. Like the Whig Party, the Tories decided to “own” the term after a time and adopted it as their party name. 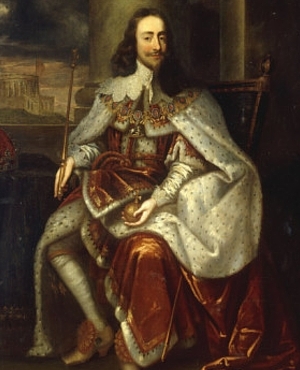 After his restoration to the throne in 1660, Charles II reigned for twenty-five years. Between his work restoring the authority of the Crown, dealing with still hostile Puritans, an angry Ireland and Scotland, as well as the Great Plague of 1665 and the Great Fire of London in 1666, he might be forgiven for neglecting the colonies and foreign policy. But Charles actually showed a keener interest in the colonies than most of his predecessors. Part of the reason was a war with the Netherlands. England and France united in war against the Netherlands during the late 1660’s and 1670’s. As part of this War, Charles decided to take the New Netherlands colonies and bring them under English control. This assured that the area that is now New York, New Jersey, Pennsylvania, and Delaware would come under British authority. 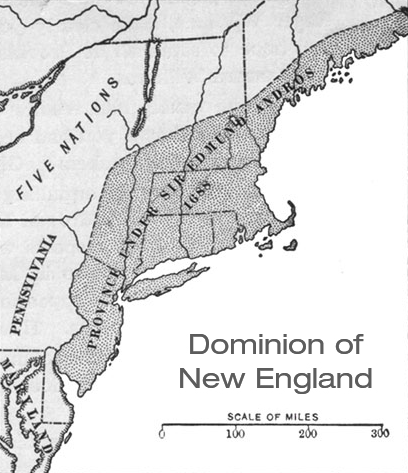 In addition, Charles attempted to create the failed Dominion of New England, which I discussed last week. Charles provided a royal charter in 1663 for the colony of Carolina (the name derived from the latin name for Charles). He appointed eight Lords Proprietors to rule the colony, which had already been settled by Virginia Colonists moving south for at least a decade. Charles’ reign also saw the creation of the Pennsylvania colony in 1682. This was not a Royal initiative. 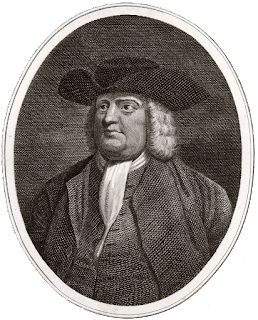 William Penn was the son of a British Admiral. Early in life, Penn converted to the Quaker faith, which was outlawed in England. Penn lived in Ireland for a time, and worked with Quakers establishing a colony in New Jersey. After the death of his father, Penn asked Charles to repay a large debt by providing him with land in America. The King granted the request, and Penn set about encouraging colonists to settle there. 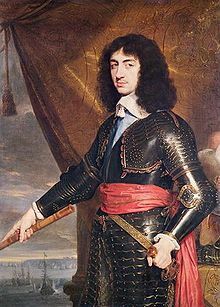 Before Charles II’s plans for the Dominion of New England could be implemented, he died in 1685, leaving implementation to his brother, King James II. As we discussed last week, the New Englanders were not happy about this initiative and did everything they could to resist. There likely would have been a real showdown, but for the intervention of other events in England. James II took a decidedly pro-Catholic stance in England. He actually wanted to appoint Catholics to government offices. This was too much for the Protestant leadership. Resistance to his policies eventually forced James to suspend Parliament and put down a bloody revolt. Years earlier, James’ daughter Mary had been married off to the Dutch Prince William of Orange. This marriage helped repair ties with the Netherlands after years of war. Sorry about taking all your colonies, would you like my daughter? 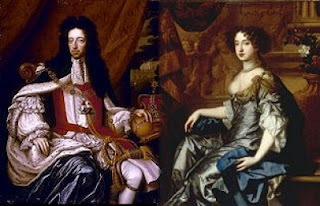 William of Orange’s mother was the daughter of King Charles I, meaning that William and Mary were first cousins and both had strong British ties. Parliament decided that James’ support for Catholicism disqualified him to continue as King. Mary therefore should be the rightful heir to the throne. Parliament invited William and Mary to come take control of England. As you might imagine, King James was not happy about this. But he also saw that this would not end well for him. He no longer had political or military support. Rather than attempt a fight, James fled to France where he lived out the remainder of his life, but at least with his head firmly attached to his body. Parliament decided that James’ abandonment of the country constituted an abdication of the throne. In 1689, William and Mary took the throne of England in what became known as the Glorious Revolution. Their reign marked the establishment of several fundamental Constitutional reforms that made Parliament more powerful than the King. Some were part of the English Bill of Rights. Others were separate legislation. The King could not maintain a standing army without the consent of Parliament. The Mutiny Act required parliamentary approval of the armed forces on a yearly basis. The King could not spend any money without Parliament’s consent. Parliament also established the Bank of England to manage government finances rather than leaving that authority with the King. The Settlement Act of 1701 prevented the King from going to war without Parliament’s approval. The Settlement Act also created separation of powers by preventing members of the House of Commons from holding other public office. It subjected ministerial appointments to parliamentary approval. Parliament also took control of judges by denying the King the authority to remove them from office. Under the new, law judges had to be impeached by Parliament. Finally, Parliament took authority for determining succession. No person could become King if he was Catholic, or married to a Catholic. This had the immediate effect of nullifying competing claims by King James II’s Catholic children. With all the massive changes in government during their reign, William and Mary did little to change colonial affairs. They are probably best remembered in America for their 1693 decision to sign a royal charter for William and Mary College in Virginia. Queen Mary died in 1694 and William in 1702, without children. The nearest Protestant relative was Mary’s sister Anne. Parliament handed the crown to Queen Anne, who ruled for 12 years. Although married, she never had children. 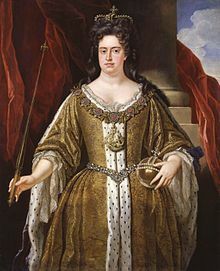 Her reign was almost entirely consumed by the War of Spanish Succession, which embroiled all the great powers of Europe in War from 1701 until 1714. She died shortly after the Treaty of Utrecht ended that war. Part of the agreement gave Britain control of Gibraltar in southern Spain, as well as Newfoundland, Nova Scotia, and the Hudson Bay territories in what is today Canada. Anne’s reign also saw the Act of Union, which formally brought England and Scotland under common rule as a single nation in 1707. Anne also had to contend with a half-brother named James who claimed the throne. James probably would have become King, but for the fact that he was Catholic. In 1708, James attempted to invade Scotland, with the backing of the French, but was unsuccessful. He remained living in Europe as a continuing threat to the Queen’s reign. With all this going on, Anne paid little attention to the North American colonies. She did however make one lasting fashion contribution. Until Anne’s death, all judges wore robes of different colors. They started wearing black robes to mourn her death. The black robes stayed and remain to this day. After Anne’s death in 1714, there was no immediate heir to the throne who was not a Catholic. Parliament had to reach quite far before they found King George I. George was the Elector of Hanover, a small German State on the continent. He did not speak English, and as far as I can tell had never been to England. 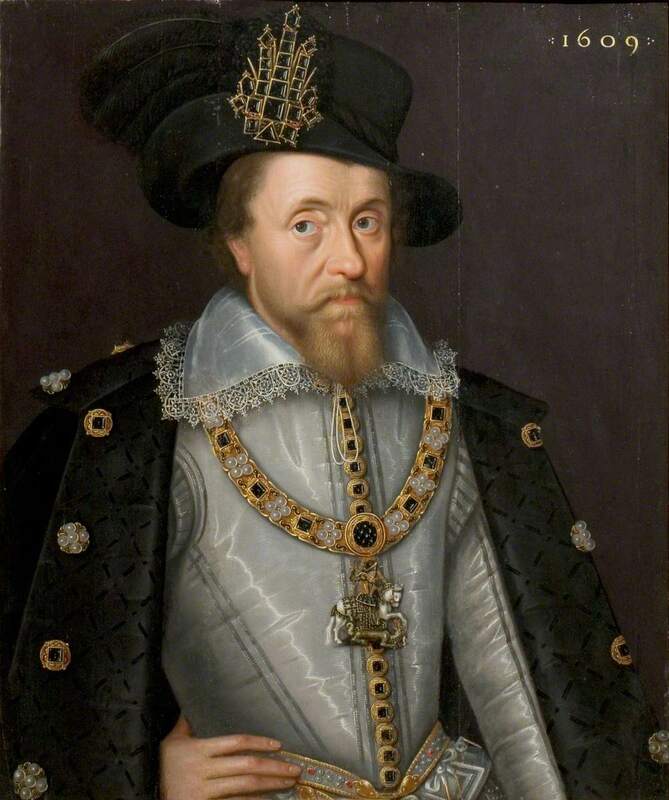 His mother, Sophia, was the granddaughter of King James I, which is how he found his way into the line of succession. There were actually more than 50 people in line ahead of him, but they were were either Catholic or married to a Catholic. King George I arrived in England to mixed reviews. Many Tories and others objected to the idea of a German prince ruling England. But Whigs, afraid of a Catholic monarch, felt this was the only option. George seemed to take little interest in English affairs. 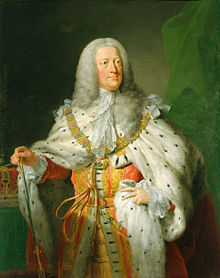 After being crowned, he returned home to Hanover, where he spent much of his reign. To the extent George was interested in English Politics, it was to use the English military to back his ongoing European disputes. During his absences, a Regency Council performed royal duties. Since the King did not typically attend meetings of his ministry, the ministers had to pick a leader. They instituted the new office of Prime Minister. If the King did not care much about English affairs, he cared even less about the English colonies, which he ignored almost completely. 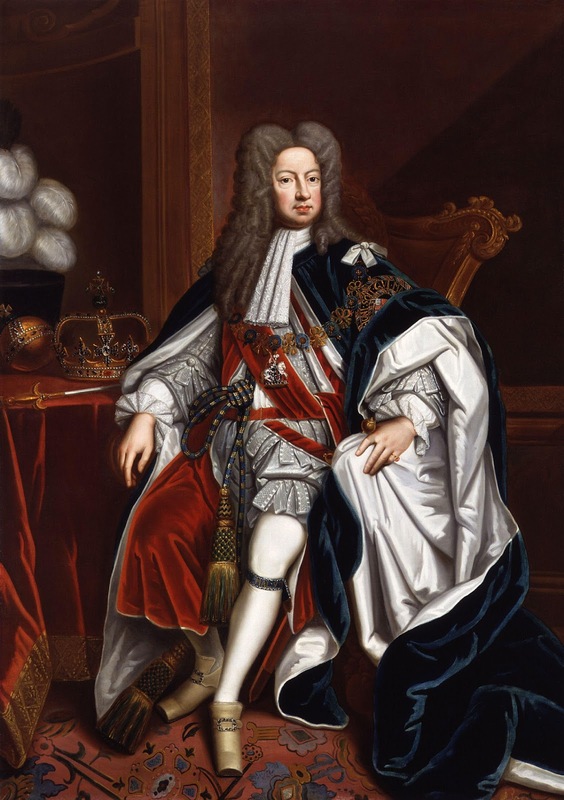 George I ruled from 1714 until his death in 1727. His son George II was also born and raised in Hanover, in modern day Germany. He spoke German, married a German wife, and was over 30 years old before it even became clear that his father would become King of England. Also, like his father, he never learned to speak English very well and spent most of his reign far more focused on his rule in Hanover. George II was a little more engaged in English affairs than his father, but that is not saying much. He tended to defer more to his ministers and Parliament and kept the office of Prime Minister to run things..
England embroiled itself in multiple European wars during the reign of George II. The War of Jenkins’ Ear merged into the War of Austrian Succession, pitting England against Spain and France in continuing fighting. In 1756, near the end of his reign, England began the Seven Years War with France. We will discuss this war, also known in America as the French and Indian war in more detail in future episodes. Aside from the French and Indian War, the American colonies did not get much attention from George II or the Parliament during his reign. Focus was more on Europe. His reign saw the last British colony in North America: Georgia, named after the King. James Oglethorpe, a former British Army officer had devoted much of his life to helping the poor of London. Oglethorpe believed many of these poor people would have a much better life in the new world. So, he got royal approval to found the Colony. Georgia served as a barrier between South Carolina and the Spanish in Florida and the French in Louisiana. With strong animosity between the English and the French and Spanish, English control of the area between the two provided a strategic benefit. Georgia began as a charter in 1731, to be run by trustees. The Trustees were unable to develop a viable self government and it became a Royal colony in 1752. George II died in 1760, allowing his grandson George III to ascend the throne. George III’s father Frederick, had been destined to be King. Frederick, however, died before his father, thus leaving the throne to George III. 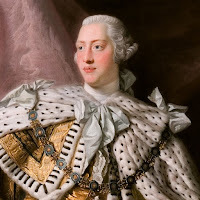 I will discuss King George III in more detail in future episodes since he will be a primary player in the American Revolution. For now, I just want to say that George was an ambitious King. He wanted the King to be more than a figurehead. George III also ruled Hanover, like his Grandfather and Great-Grandfather. Unlike them, though, George III seemed to focus more on England first and Hanover second. Covering a few centuries of history in a few pages obviously means we must leave out a great deal. The key points I want you to remember are that we generally see an erosion of Royal power and the rise of parliamentary government. We see the development of limits on government and an acceptance of the idea of Constitutional rights. Most importantly, with the continuing internal and external distractions in Europe, we see the American colonies largely ignored. They grow and prosper with little direction from the mother country. Next week: a brief background on the tensions between England and France, as well as an introduction to the Native American tribes. Visit the American Revolution Podcast (http://amrev.podbean.com). More sources about today’s topic. Queen Elizabeth, by Jacob Abbott, (1901). Charles I, by Jacob Abbott (1876). Charles II, by Osmund Airy (1904). Oliver Cromwell, by George H Clark (1893). James I. and VI. by T.F. Henderson, (1904). Memoirs of the secret services of John Macky, esq., during the reigns of King William, Queen Anne, and King George I, by John Macky (1733) - This is an original account by an official who served through these administrations. A History of the Church of England, by George Gresley Perry (1879). Rebellion: The History of England from James I to the Glorious Revolution, by Peter Ackroyd (2015) - This is more of a novel style of writing. It is long but very good. The Royal Stuarts: A History of the Family That Shaped Britain, by Allan Massie (2013) - Covers the early rule of this line of Scottish Kings through the ascension of King James I to the English throne, through the Civil War until the end of the reign of William and Mary. Before the Revolution: America’s Ancient Past, by Daniel Richter (2011). If you enjoy podcasts, I heartily recommend Revolutions by Mike Duncan. I found his detailed podcast of the English Civil War very enjoyable. Free MP3 recordings of each episode are available for download. * (Book links to Amazon.com are for convenience. They are not an endorsement of Amazon, nor does this site receive any compensation for any links). Before we get into the war, I want to talk about the people who would be a part of the fight. Today’s episode will give a brief background of the people who came to colonize North America. By the mid-1700s, North America was well populated with European colonists. It’s economy, or should I say various economies, were growing at an amazing rate. The colonies had taken on distinct characters of their own as they evolved into economic and political structures that suited their individual needs. Not all the colonists in the English colonies were English. Large numbers of Germans, Swedes, and Dutch colonists had settled alongside English, Scottish, and Irish colonists. Quite a few of the Germans had been French a few generations earlier. French Protestants, known as Huguenots, had to flee their native country after the Revocation of the Edict of Nantes in 1685. The Revocation essentially outlawed tolerance of Protestants in France. Many had fled to southern Germany, but within a generation or two looked for greener pastures in America. Whatever their origin, colonists had to swear loyalty to the King of England and submit to the law as a British subject. Many of them retained their own language, customs, and religious practices, as long as they agreed to obey the King and his laws and remain loyal to their adopted country. Colonists practiced a variety of religions, although almost all were a variant of Protestant Christianity. Europe had suffered centuries of Protestant-Catholic wars. Many feared that a mix of religious groups would only lead to more conflict and war in America. During much of the colonial period, Britain was competing primarily with Catholic France and Catholic Spain for control of territory. One’s religion typically indicated one’s political identity. Catholic colonists were seen as potentially disloyal to Protestant Britain. For the most part, practice of Catholicism was illegal throughout the colonies, as it was in Britain. Beyond that though, members of the Church of England, who were Anglicans, later called Episcopalians, mixed with Presbyterians, Quakers, Lutherans, Reformed Calvinists, and a host of other Protestant variants. Some Colonies required taxes to support the Church of England only. But once the taxes were paid, most colonists were free to practice their Protestant faith as they saw fit. Beyond the draw of religious freedom, which admittedly varied greatly among the colonies, economic appeal was probably the strongest incentive for new colonists to make the journey. This is not to say the colonies offered an easy path to riches. Most colonists came to the new world to face devastatingly hard work, combined with the risk of early death from disease, starvation, exposure, or Indian attack. This made colonization a very risky venture. Most colonists took this risk because staying home was even worse. Disease, starvation, and exposure were also common ends in Europe, unless you were among the very small minority who had wealth and power (those known as the nobility). Add to that the endless wars that ravaged the continent, and the risks of life in the colonies did not seem worse. By contrast, if you were lucky to survive and thrive in the colonies, you would have a much better chance to obtain your own land. That reward was virtually impossible in much of Europe. In America, you could build a life for your children and take advantage of the New World’s great growth potential. Even the small chance of success was enough for many Europeans to try their luck in America. The journey across the Atlantic was the first hurdle for many. In addition to lasting 2-3 months under terrible conditions, the voyage was expensive, more than most commoners could afford. The solution to this was indentured servitude. Essentially, an immigrant would agree to work for a period of years in exchange for the cost of transport to America. An indenture would last 2-7 years (typically 3-5 years) after which time the servant would become a free person, able to start his or her own life in the new world. Nearly half of all immigrants to the colonies arrived as indentured servants. Many historians minimize the harshness of indentured servitude when compared to slavery. Slavery was a life sentence for you and your children. Indentured servitude was only temporary. But during the time of service, indentured servitude was as hard, and often harder than being a slave. It was not simply working off a debt like paying off a student loan today. Indentured servants were bound to their master and obligated to do whatever work was demanded of them. Indentured servants were often used for more dangerous work than slaves. Work might involve laboring in mines or clearing mosquito-infested swamps. An indentured servant’s death was less of an investment loss to the owner than that of a slave. Servants could not leave their employer before the term was up, regardless of conditions. A master could sell their contract to someone else. Servants could not marry without their master’s permission. They could be whipped for disobedience or other infractions. Many indentured servants did not enter service voluntarily. Some had the option to enter servitude instead of prison or other punishment for a crime. Others were simply kidnapped and sold into servitude. Like anything, people had mixed experiences with indentured servitude. For some, it was almost like being adopted into the family. For others it was worse than slavery. One’s experience was largely a matter of luck. African immigrants arrived almost exclusively as slaves. There were some early Africans who were treated as indentured servants, and a handful who arrived as free men, mostly sailors. The overwhelming majority came as chattel slaves. Many were sold into slavery in Africa either due to inability to repay a debt, as punishment for a crime, or captured in war. Of course, many tribes went to “war” for the sole purpose of capturing and enslaving members of other tribes. Once sold to European slave traders, it mattered little how one became a slave. All slaves were reduced to property for life, as well as were all of their children. Most of the millions of of slaves who made the Atlantic crossing went the the Caribbean or Brazil. Only a few hundred thousand ever arrived in the British colonies that became the United States. All 13 colonies permitted the practice of slavery, although the slave populations were much larger in the southern colonies. During the colonial period, it was possible for slaves to obtain freedom. Some owners freed slaves, often in their wills. More often, slaves were permitted to work on outside jobs and keep some of the money they earned. Some were able to purchase their own freedom or those of family members with these extra earnings. Some blacks even became slave owners themselves. Of course, these were in an extreme minority. Most Africans and their descendants remained slaves until their State emancipated them. In the case of the South, this was not until after the Civil War. Because the horrors and details of slavery are covered much better and in much more detail elsewhere, I will not get into a detailed discussion here. Suffice it to say for the purposes of the American Revolution, slaves were numerous, not terribly happy with their situation, and willing to support whichever side gave them a better chance at freedom. At the outset of the Revolution, Native Americans controlled large portions of the colonies as well as lands to the west. Native Americans had no strong loyalty to either side. Different tribes took different sides based on local circumstances. I will discuss some of the specific tribal loyalties in future episodes as we move into the French and Indian war. I know that the term “indian” is sometimes considered politically incorrect since it was a title foisted on Native Americans by Europeans who originally mistook America for the Indies. However, the term is what was used at the time and avoids the confusion of using the term “native” which can also refer to people of European descent who were born locally. For this reason, I will frequently use the term Indian when generically referring Native American tribes. If you took US history in high school, you were probably subjected to the idea that there were three regions on the continent that developed differently based on geographical or other factors. These classifications tend to drive me crazy because the idea is often presented in such a simplistic way that it does not give a realistic idea of the diversity of experiences within each region. Nevertheless, I will borrow that concept of three geographic divisions to go over a few basics. The most northern British colonies were known as New England. The name “New England” was not very original. After all, other countries had created New Spain, New France, and New Netherlands. An early claim to the name goes to the Council for New England, founded in 1620 to distribute land in North America to various Nobles seeking to create estates in the new world. The Council received a grant to colonize land between 40 degrees and 48 degrees latitude. This is much of the area we consider modern New England today, although the grant went all the way across to the Pacific Ocean. The Council ended up having competing claims with the Massachusetts Bay Company, which later received a Royal Charter directly and defeated the Council’s claims. The Pilgrims who founded Plymouth Colony in 1620 were first permanent British colonists in the region. The Pilgrims had a charter from the Virginia Company. When they arrived in America, they ended up settling outside the Virginia Company’s territory, which extended only as far north as modern day New York. The Pilgrims, therefore, really had no legal justification for colonizing the Plymouth Colony where they did. The British government, however, was not terribly concerned about this experimental colony. It was happy to have a British presence that might give Britain a claim to land that the French and Dutch also claimed. A decade later, the Plymouth Colony was dwarfed by the Puritan-governed Massachusetts Bay Colony which settled nearby in present day Boston. Soon, other colonies sprouted nearby. Colonists who could not live under the religious rules in Massachusetts established Rhode island and Connecticut. New Hampshire and Maine grew from small trading outposts from Massachusetts. New Hampshire eventually got its own Royal Charter, but Maine remained part of Massachusetts until well after independence. For several decades, the British government allowed the colonies to grow on their own. Funding largely came private investors who sent colonists as indentured servants to acquire profits for the company. For the most part, these investments were economic failures. The indentures ended before they were in a position to provide much return to the investors. Adding to the neglect, the English Civil War distracted officials for decades. Officials had to focus on controlling England itself, not some tiny far off colonies. The New England colonies thrived under the neglect, building their own society, based largely on religious (Calvinist) principles of prayer and hard work. The land was not particularly amenable to large farms. Much of it was rocky. Growing seasons were also much shorter than further south. Many New Englanders found a better life, in timber, ship building, fishing, mercantile trading, and manufacturing. Most local farming was for food. Cash crops never became big business in New England during the colonial period. With the end of the English Civil War, King Charles II decided to reassert some order over the region. Colonial merchants were trading not only with other English colonies, but also colonies from France and Spain. 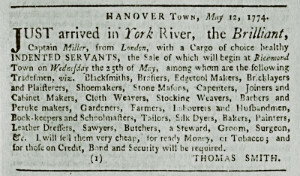 Colonial traders and manufacturers were now in competition with English traders and manufacturers. They were also largely avoiding payment of any tariffs to England. King Charles sought to revoke the colonial charters and create a single Dominion of New England, headquartered in Boston and controlling the entire region, which eventually also included New York and both East and West Jersey. Charles died before his vision could be fully implemented. 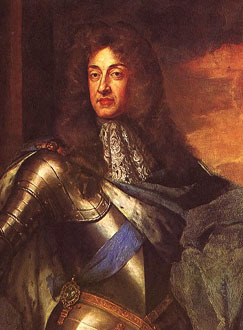 His successor King James II, followed through, revoking the colonial charters and creating a central government for the region operating out of Boston. The New England colonies greatly resisted this governmental intrusion. Many traders became smugglers to avoid paying tariffs. They also did not want to give up valuable trade with other colonies in the Caribbean. Lax enforcement made it easy to ignore these trade rules, so most colonists did. 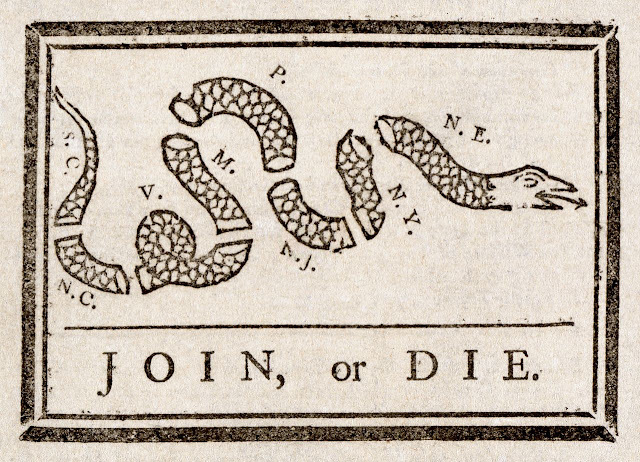 The two sides were clearly headed toward a fight in the 1680’s. Fortunately for the colonies, the British aristocracy overthrew King James II in the Glorious Revolution of 1689. The Dominion of New England got tossed aside and colonists went back to their old ways. One change was that the Massachusetts Colony took control of Plymouth Colony. Beyond that, the colonies largely went back to self-rule. Only the name “New England” remained to describe the region. Although the colonists pretty much won the battle because of internal political issues in Britain, many took the lesson to mean that they could challenge British policies and prevail. It also taught them to be highly suspect of any British government involvement in their affairs. These dangerous ideas of resistance would be part of colonists’ general attitude, continually frustrating Governors, Generals, and other leaders sent from England to impose order. The Middle Colonies were probably the least English of the English colonies. New York had gotten its start as New Netherlands, settled by Dutch colonists, who remained after the British took control of their colony. East and West Jersey eventually merged into the single colony of New Jersey, but remained largely unpopulated in this early period. For much of its early history, it was governed by New York. Like neighboring colonies, New Jersey offered religious freedom to attract colonists. However, the nobles who ran New Jersey also required payment of high annual “quitrents”, essentially a form of property tax on land. With lower costs in neighboring colonies, many colonists skipped New Jersey. High property taxes that discourage more population growth is a tradition that New Jersey carries to this day. Despite the costs, some Quaker groups joined the Dutch settlers in New Jersey. In the late 1600’s, Quaker groups purchased New Jersey from the original nobles and began to settle the land in larger numbers. Pennsylvania was founded by another Quaker, William Penn. The King gave the land to Penn to pay off a large debt owed to William’s deceased father. Penn realized he needed a large population quickly. English colonists were not terribly interested in populating an inland wooded area still thick with Indians who might not take kindly to new immigrants. Some Quakers settled in and around Philadelphia, but large numbers of colonists to fill out all of his lands would require another source. Penn decided to turn to the German States. Germany did not exist as a single nation at this time, but the heavily populated German States of northern Europe were teaming with poor hardworking people who could be convinced to take a risk. Penn’s guarantee of religious freedom was also particularly attractive to people who had been on the front lines of religious wars for several centuries. Cheap obtainable land was also a big draw to farmers sick of paying heavy rents to minor nobility. Germans settled Pennsylvania in huge numbers. Although they swore loyalty to the British King (who, by the way, was a German) they retained use of their German language well into the 20th Century. They also retained their own German Protestant religions and created their own communities that remained relatively separate from the English. These eventually became known as the “Pennsylvania Dutch” (Dutch being a mispronunciation of Duetsch). Delaware originally began as a Swedish colony. The Dutch took the colony from the Swedes in 1655, making this the southern part of the Dutch claim of New Netherland. The English then came along and took all of that area away from the Dutch in 1664. The colonists living there were forced to swear allegiance to the British King, but remained in place with their own language and customs. There was some question as to what colony actually controlled the area. Maryland laid claim, as did Pennsylvania after its establishment. Pennsylvania’s claim finally prevailed in 1681. The people of Delaware, however, maintained their own colonial legislature, separate from that of Pennsylvania’s. No one seemed inclined to press for a clearer delineation of how independent Delaware would be from Pennsylvania The matter persisted up until the time that the colonies declared independence from Britain. Maryland was originally established by English Catholic nobles who were trying to get away from the anti-Catholic laws in England. Lord Baltimore created a colony where both Catholics and Protestants would be welcome. Despite the origin and early governance by a Catholic family, the colony quickly became populated largely by Protestants with a small Catholic minority. Around the same time the Glorious Revolution was dumping the pro-Catholic King James II in England, Marylanders rose up against their Catholic leaders, installed a Puritan Government in Maryland and outlawed Catholicism. The Church of England became the official religion much like neighboring Virginia. Virginia typically considered itself a middle colony rather than a southern one. Part of this may have been due to the fact that Virginia’s land claims extended all they way up into what it today Pennsylvania and Ohio. Early on, Virginia claimed that all of what today we call mid-Atlantic region, all the way up to what is today New York City. These eastern claims were extinguished early, while claims to what we today consider the mid-west remained until after independence. Virginia was home to the oldest successful British colony in North America. It was managed by a private company, the Virginia Company, which held a royal charter. Founded during the reign of Queen Elizabeth I, the “virgin queen” - hence the name. It was really the official English colony. Its land supported large farms and quickly developed cash crops for sale in England, particularly tobacco. The colony became home to lesser nobles who would not inherit land at home because they were not the eldest son. Virginia offered them an opportunity to have their own large estates. Many commoners came as well, including the Scotch-Irish. Those were descendents of Scottish Protestants who settled in Northern Ireland during the Cromwell era, benefitting from land taken from the Irish Catholics. With land in Ireland harder to obtain by the early 1700’s, many families decided to move once again. Many Germans also settled in Virginia. Some came directly. Others were Pennsylvania immigrants, or their children, looking for better land further south. The Scotch and Germans tended to settle in the less valuable lands further west in the mountains. The nobles in the eastern areas, the Tidewater region, established larger estates. Nobles were not much interested in doing their own labor and poorer Europeans were more interested in obtaining their own cheap land rather than working for someone else. As a result, wealthy landowners began importing large numbers of Africans, first as indentured servants, but quickly becoming chattel slaves. The Carolinas were originally one big colony, although they broke into North and South rather quickly. South Carolina tended to have more of the wealthier noble colonists, while commoners moved to what became North Carolina. Like Virginia, many poorer people lived in the western mountainous regions. The wealthier eastern landowners grew reliant on slave labor. Major cash crops including tobacco, rice, and indigo made plantations in this region very profitable. Georgia became the last of the established English colonies in North America. Many of the original settlers were poor Londoners looking to pay off debts and establish new lives. The Colony’s primary purpose was to serve as a barrier colony between wealthy South Carolina and the French, Spanish, and Indians to the south and west. Of course, it grew in its own right into a sizeable colony, but tended to less wealthy and contain less nobility. The establishment of the colonies could probably constitute several books on this one topic alone. My point in providing this brief background is to show that there was a diverse assortment of colonists with no single unifying language, custom, religion, or political belief. The Colonies frequently disputed among themselves over borders and other issues. They maintained a sense of loyalty to Britain, but largely hoped to govern their own affairs and be left alone in most day to day matters. Britain provided some legal, diplomatic, and military cover from foreign invasion. But beyond that interference from the mother country usually meant more taxes or costly regulations. The colonies tried to keep that to an absolute minimum. Next Week: we will cross the Atlantic to go over a short history of Britain during the colonial era. Sources to learn more about today’s topic. The History of the Thirteen Colonies of North America, by Reginald Jefferey (1908). Redemptioners and indentured servants in the colony and commonwealth of Pennsylvania, by Karl Frederick Geiser, (1901). The Thirteen Colonies, by Helen Ainslie Smith (1901). The New England Mind: From Colony to Province, by Perry Miller (1953). The Puritan age and rule in the colony of the Massachusetts Bay, 1629-1685, by George Ellis (1888). The Thirteen Colonies, by Louis Wright (2014). A Tale of Two Colonies: What Really Happened in Virginia and Bermuda? by Virginia Bernhard (2011). The Colonial Experience, by David Hawke (1966). Before the Revolution, by Daniel K. Richter (2011). Thank you for joining me on my new project: a journey through the American Revolution. Today I embark on a new project to describe the entire American Revolution in detail. My plan is to make this a multi year project, covering all aspects of the Revolution. To some extent, I am going to see where the project leads me. But I figure it’s worth trying to say at the beginning where I think I’m going with this. I don’t mean this to become an academic work, full of footnotes and sources. I want to tell the story of the revolution in a comfortable way. Each episode will be available both a recorded podcast and a written version. Although I really hope you will listen to the podcasts rather than just read the related articles, the written version may help people who just want to look up something quickly. The written version will include some helpful maps and other illustrations on the topic. There will also be links and suggested reading materials at the bottom of each episode. Some of these are sources I have used. Others may simply be interesting works that relate to the topic of the day. Time allowing, I hope to produce one new episode each week. In each episode, I will take a look at a specific event from the war. I will try to keep each episode to around 20 minutes, give or take. Each episode should be a story that can stand on its own My plan is to move through the story of the Revolution in more or less chronological order. If you are looking for a good short overview of the Revolution, you are in the wrong place. My goal is to dig deeper into events, large and small, to create a better picture of what really happened. At the same time, it is not going to cover the most important events in as much detail as you will find in a whole book. For example, there is a great book that is nearly 600 pages long that covers Washington’s crossing of the Delaware and the battles at Trenton and Princeton. Even if I devote three or four episodes to that important event, I cannot possibly hope to cover 10% of the detail the book provides. This project will cover those key events, to be sure, but where I think it will be unique is in covering minor and less covered events, providing more details to give my audience a fuller view of of the complete war period. I will try to offer further reading suggestions for those who want to dig even deeper on any given topic. Because I plan to go through the topic in a general chronological order, it may be a while before I get to the war itself. I plan to start with a few introductory background episodes, then briefly cover the French and Indian War, which created many of the disputes that led to revolution. Then there are years of government actions and protests before we actually get to any fighting between the colonies and Britain. I’m not sure just how far I will take this podcast, but I hope to go through the events leading up to the war, the war itself, the post-war struggles, and eventually the creation of the United States Constitution. Thanks I also want to say a few words of thanks. Although he does not know me, I’ve been inspired to start this project by Mike Duncan, author of The History of Rome and Revolutions podcasts. I have listened to Mike for years and enjoy his work immensely. I was also pleasantly surprised to see that such detailed histories could become a success with a dedicated following. I would also like to thank my wife, for her unending patience and support. Although she considers this project the pinnacle of nerdiness, she has provided her cheerful support. This, despite the fact that the preparations alone, have taken over my life for well over a year. Let’s see how long that lasts. The theme music for the podcast, a fife and drum piece called Crown Point from the Revolutionary war era, comes from the Sturbridge Colonial Militia. It is an American Revolution reenactment group that was generous enough to post some of its music on archive.org and allow it to be shared and enjoyed in the public domain. Thanks guys! The Revolution as a Topic The American Revolution was in many ways an unlikely event. Unlike many revolutions, the American people were not exactly living in poverty as virtual slaves. By most measures, the colonists were better off than their British counterparts. Certainly the revolutionary leaders were men of wealth and influence who could have lived quiet and comfortable lives under just about any government. The fact that they took on the most powerful empire in the world seems like an amazing risk for relatively little personal benefit. The real benefits, if any, would come for their children and future descendants, while the risk and sacrifice would fall on one generation alone. That said, real history is not people always acting nobly and out of self sacrifice Like any period, it has its share of selfishness, greed, and horrific acts on both sides, as war often brings out in people. I hope to cover the good, the bad, and the ugly to give as full an account of the American Revolution as possible With all that said, let us begin. Visit List of Published Episodes (http://blog.amrevpodcast.com).